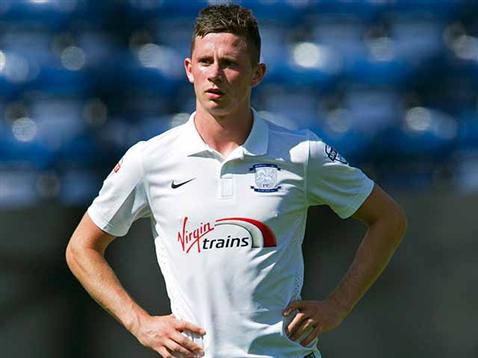 Alan Browne is a 20-year old midfielder with a growing reputation following a number of standout performances for Preston North End and the Ireland U21s over the past 18 months. Hailing from Blackrock in County Cork, he is the latest player from the production line at Ringmahon Rangers to make an impact cross channel. Browne joined Ringmahon Rangers when he was five and was the subject of interest from English clubs such as Ipswich Town and Reading during his teenage years. However, he decided to remain in Ireland and joined Cork City in the summer of 2012, thereby allowing him to complete his Leaving Cert. In 2013, Browne led a talented Cork City U19 team to a league and cup double and was rewarded with the Airtricity League U19 Player of the Year award. In November 2013, Browne moved to Preston North End and signed an 18-month contract with the club two months later. He made an impact at the League One club sooner than expected with his first team debut arriving in March 2014 when he was introduced as a substitute in a 3-1 victory against Peterborough United. He finished the season with a total of nine appearances for the first team, which included one goal in a home win against Carlisle. The young Corkman started the 2014/15 season in excellent form and was a firm fixture in Preston’s midfield for the first half of the season. During this time he put in a series of man-of-the-match displays and chipped in with three goals. However, at the end of January 2015, Browne fell out of favour and spent much of the second half of the season on the bench. He returned to the first team in May as a substitute in the League One play-off semi-final win over Chesterfield. He was then introduced as a 37th minute substitute in the play-off final against Swindon, which Preston won 4-0. With promotion to the Championship secured, Browne signed a three-year deal during the summer to remain at Deepdale. He has started this current season with a series of solid performances, despite Preston struggling at the lower end of the Championship table. At international level, he has graduated from the Ireland U19s to Noel King’s U21 team. 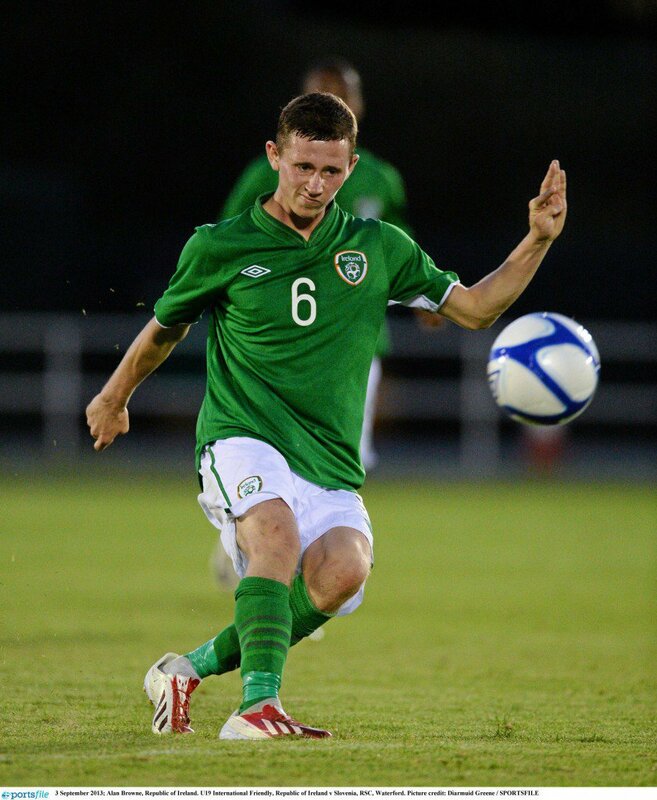 Last month, he put in an assured midfield performance for the Ireland U21s in their 2-nil win away to Andorra. During that game it was evident that Browne was eager to get on the ball and he displayed an excellent range of passing. If Browne plays for Preston against Sheffield Wednesday this weekend, it will be his 50th appearance for the first team. Given that he only celebrated his 20th birthday in April, his progress is impressive. Very few Irish players of that age have managed to accumulate such a level of first team experience in recent seasons. Browne’s career progress is also testament to his decision to pursue his education in Ireland before making the move cross channel. There are numerous stories of talented Irish underage players that moved to England at the age of 16, but struggled to make an impact due to homesickness or a lack of maturity. In that sense, the introduction of the new SSE Airtricity U17 National League may provide the necessary platform for more young players to remain at home and perhaps make the move at a similar age to Alan Browne. Browne wears the No. 16 jersey for his club and the No. 6 jersey for Ireland – not the first Corkman to wear this numerical combination. In time, the young midfielder might draw comparisons with Roy Keane, but for now, he’ll be hoping that his continued development at Preston grabs the attention of both Keane and Martin O’Neill. A call-up to the Irish senior squad in 2016 is possible and a senior cap for Browne would also be a deserving reward for all the excellent work being undertaken at Ringmahon Rangers. The Cork club is churning out some talented young players such as Gearóid Morrissey (Cambridge United), Eric Grimes (Leeds United), John Kavanagh (Cork City), and brothers Fiacre Kelleher (Celtic) and Caoimhin Kelleher (Liverpool). Alan great article great player this lad going to be a superstar as a North End fan and as a former teacher teaching young pro’s I count Alan Mc Cormack and Ciaran Lyng as two of my many ex students, this boy is as good as I have seen if you ever want updates from me please let me know.